Welcome to Style ‘N’ Print! Retail & Wholesale! Quality screen printing. T-shirts and Artwork. 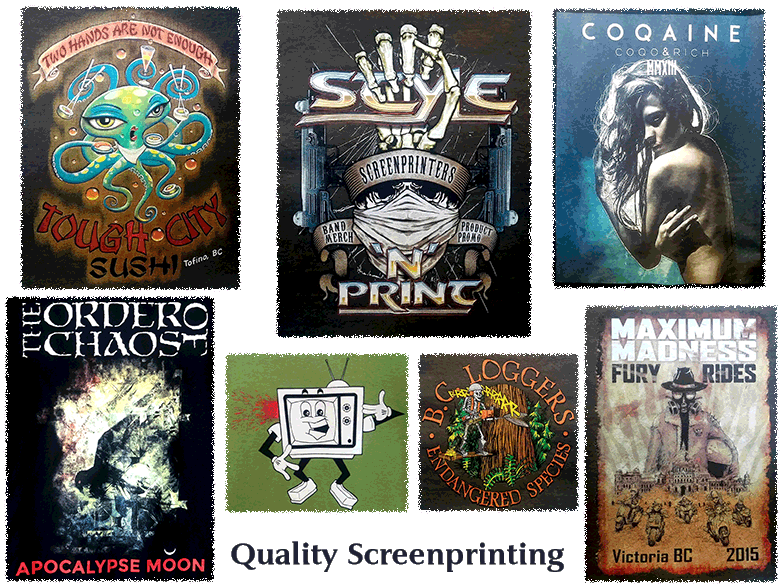 With years of professional screen printing work to draw on, Style ‘N’ Print strives to ensure satisfaction. These are just a small sample of what we can do. Available in the store, or go to the website to buy from Mr Fritz. When you are looking for full color printing, for larger orders, or a small short run jobs, we can get it done for you. From one color up to 8 colors via the traditional method, we can print you a masterpiece! Top quailty printing, top quality separations, great prices. We are your best choice. Our printing quality speaks for itself, as seen in stores around Victoria, and on band tours galore.